The Clean Water Restoration Act would help produce ducks. At first glance it is hard to see how a shopping mall in Michigan or a garbage dump in suburban Chicago could possibly affect the future of North American waterfowl, but over the past eight years, federal officials and waterfowl biologists have been deeply concerned about the connection. In 2001, The U.S. Supreme Court issued a decision in the case of the Solid Waste Agency of Northern Book Count (SWANCC) vs. the U.S. Army Corps of Engineers. SWANCC wanted to bury baled garbage in an abandoned gravel quarry. Because the bottom of the quarry had filled with water, SWANCC contacted the Corps of Engineers to find out whether a federal permit was required to fill the wetland. The Corps decided a permit was indeed required under the federal Clean Water Act, and the agency declined to issue one, arguing that the landfill constituted an "unacceptable risk to the public's drinking water" and the impact on wildlife was "unmitigatable." SWANCC challenged the ruling. The group's attorney's argued the Clean Water Act did not apply to the quarry because it was an isolated wetland, not connected with any navigable water of the United States. The Corps took the view that the Clean Water Act did apply, even to this isolated body of water, because more than 100 species of migratory birds used the site -- and the birds themselves connected the quarry to other bodies of water and other states. In a broad sense, that has been upheld in court: The birds and their habitat are part of "interstate commerce," an activity the federal government has constitutional authority to regulate. The Corps had used this "migratory bird rule" in many other cases to decide whether a wetland fell under the protection of the Clean Water Act. In a 5-to-4 decision, the Supreme Court sided with SWANCC. Writing for the majority, Chief Justice Rehnquist found "Congress did not address the precise question of (the Clean Water Act's) scope with regard to isolated, intrastate waters." In 2006, the Supreme Court weighed in on another cluster of wetlands cases, this time from Michigan. Real estate developers John Rapanos and June Carabell wanted to fill several shallow basins to build shopping malls and homes. In fact, Rapanos had already filled at least one. State officials inspected the areas and found soil types and plant species that proved the sites were ephemeral wetlands. The Corps refused to issue permits for the planned development and prosecuted Rapanos for the unauthorized filling. Local courts and the federal court of appeals upheld the Corps' authority, so the developers appealed to the Supreme Court. In another 5-to-4 decision, the Supreme Court supported the developers. Justice Scalia wrote the majority opinion, in which he argued the Clean Water Act does not apply to "wetlands with only an intermittent, physically remote connection to 'waters of the United States.'" 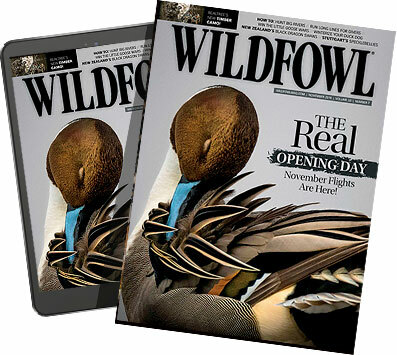 While this distinction might seem brilliant when you're sitting in an office in downtown Washington, D.C., surrounded by law clerks and leather-bound volumes of legal precedent, it doesn't make much sense to anyone who has ever watched the spring waterfowl migration into the prairie potholes. A huge number of these potholes are intermittent, physically remote wetlands. In a good spring, they fill up with water and waterfowl. They provide a crucial setting for pair bonding and breeding, as well as forage for hens that will soon be on the nest. By fall, they are often dry, which means the nutrients on the bottom have a chance to oxidize and fertilize the next year's vegetation. Exposure to air kills many microbes, especially the anaerobic bacterium that causes botulism and the pathogen that causes fowl cholera, two diseases that periodically take a huge toll on waterfowl. Physically remote wetlands often contribute to underground aquifers, which means they really are connected to "waters of the United States," even if the connection isn't obvious to a judge. In especially wet springs, the basins hold water that would otherwise run off, so they also help with flood control, and they trap silt and pollutants, purifying the water they collect. For all of these reasons, waterfowl managers and other conservationists were dismayed by the Supreme Court rulings. The law that had protected wetlands for more than 30 years had suddenly been redefined, and hundreds of thousands of small wetlands in the prairies and elsewhere were once again at risk. The overarching objective of the Clean Water Act is "to restore and maintain the chemical, physical, and biological integrity of the Nation's waters." In their opinions on SWANCC and Rapanos, the Supreme Court justices had made it clear they lacked an adequate definition of "the Nation's waters." When Congress adopted the law, did they intend to extend federal authority to isolated wetlands? Clearly, the best solution is for Congress to clarify what it meant. And Congress has been considering it. In 2004 and again in 2005, Congressman Richard Baker of Louisiana introduced bills to exempt isolated, temporary wetlands from federal protection under the Clean Water Act. Luckily for the ducks, neither proposal advanced past committee. In 2007, Sen. Russ Feingold of Wisconsin and Rep. Jim Oberstar of Minnesota introduced bills to bring temporary wetlands back under the protection of the act. Congress adjourned before the bills came out of committee, but last April, Feingold once again introduced the Clean Water Restoration Act "to reaffirm the original intent of Congress." The heart of the act is an extensive definition of the waters of the United States. It extends protection to tidal zones, all interstate waters including interstate wetlands, all impoundments, territorial seas and wetlands next to these bodies of water. In addition, it protects "all other waters, such as intrastate lakes, rivers, streams (including intermittent streams), mudflats, sandflats, wetlands, sloughs, prairie potholes, wet meadows, playa lakes or natural ponds." By the end of May, the bill had 24 co-sponsors. It had been referred to the Senate Committee on Environment and Public Works. On April 30, Sen. James Inhofe of Oklahoma, the ranking minority member of the committee, called for a legislative hearing on the bill, even though the committee had already held a hearing on the proposal on April 9, 2008. As we go to press, no decision has been made on whether an additional hearing will be held, and if so, when. -- prime duck habitat -- between 1998 and 2004. That was mostly before the SWANCC and Rapanos cases withdrew federal protection from isolated wetlands. In a report issued last April, the U.S. Inspector General found that since the Rapanos decision, EPA has decided not to pursue formal enforcement actions on 489 potential violations of the Clean Water Act. The agency explains this failure to act is "a result of jurisdictional uncertainty" in the wake of the SWANCC and Rapanos rulings. Waterfowlers can't afford to lose another acre of marsh. We need to restore the authority the Corps of Engineers and EPA have exercised over the past 30 years. We need the Clean Water Restoration Act.